First, I want to say thanks to Jenn at Wicked Wednesday and her team for bestowing a Top 3 Badge on me the first time I played at their challenge. It's always so good for the ego when your peers acknowledge their confidence in your work. If you haven't tried ATC's or haven't made any for awhile, you need to check out Wicked Wednesday and come play along for a fun time and some prizes along the way. 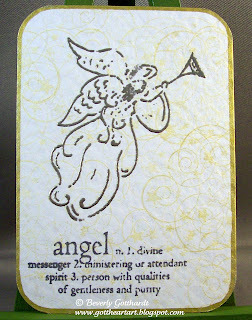 My Angel ATC is simple stamping and heat embossing on a textured ATC blank, and as you can see I just can't seem to make hardly anything without outlining it with one of my Sharpie Paint Pens. I also liked the rounded corners on this one to go along with the clouds. Supplies: White textured ATC blank-Marco's Papers, Stamps: See-D's-Magical Christmas, Ink: Brilliance-Galaxy Gold, Stampin Up-Basic Gray, VersaMark Ink, Stampin Up-pewter embossing powder, Sharpie Paint Pen-gold. Great ATC Beverly - thanks for joining us again at Wicked Wednesday. 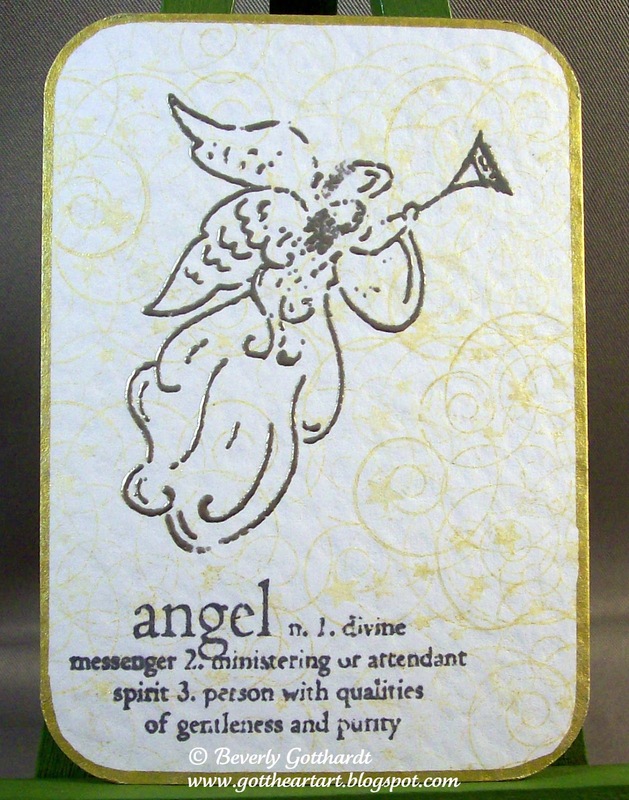 I love the angel image and the "text" is a great touch!! Beautifully simple and simply beautiful! Great ATC Beverly, lovely Angel image, so glad I got chance to play this week I love ATC's. I really like this piece. Sometimes simplicity = beauty. The text adds a really nice touch! This simplicity of card makes is special. I always find plain stamping is quite hard to do to look good finished. You have achieved it here.